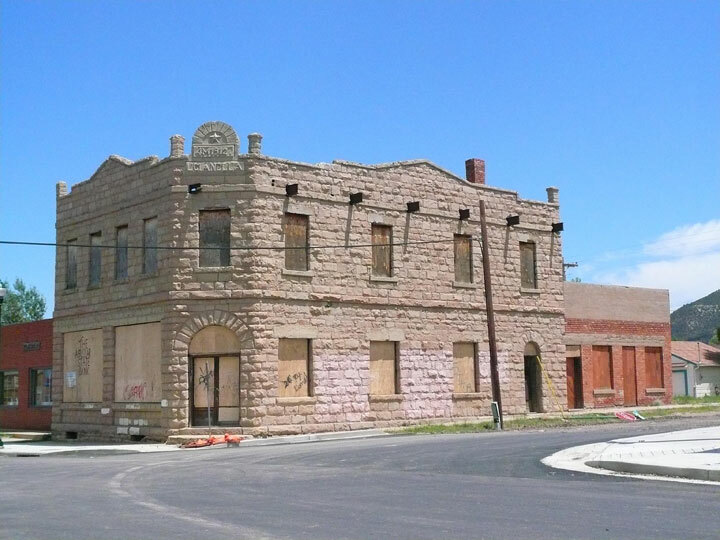 The Luigi Gianella Building, also known as the Aguilar State Bank building, represents the success of a southern Colorado community and its mostly European immigrants to control their own affairs, outside the paternalistic company town model of the time. Aguilar is one of Colorado’s oldest towns. Nestled at the foot of the Twin Spanish Peaks it was first settled by Spaniards who called it the “New Spain.” J. Ramon Aguilar owned the land on which the town now stands and in 1888 it was named in his honor. With the coming of the Aguilar branch of the Colorado & Southern Railroad and the opening of the Peerless Coalmine, numerous coalmine company towns developed. Hundreds of Slavs, Poles, Greeks and Italians came from Europe and became the local coal miners. Aguilar became a melting pot of nationalities with three newspapers, a bank, schools, churches, stores, theaters, saloons, and hotels serving 2,500 residents and coal camps by 1923. The Gianella Building was reportedly designed by Antonio Lo Presto and built of native sandstone by Italian stonemasons. Completed in 1912, It was named after Luigi Gianella, the owner and bank director. The building housed the only bank in the history of Aguilar and it stands as only one of two remaining multi-story buildings on Aguilar’s Main Street. 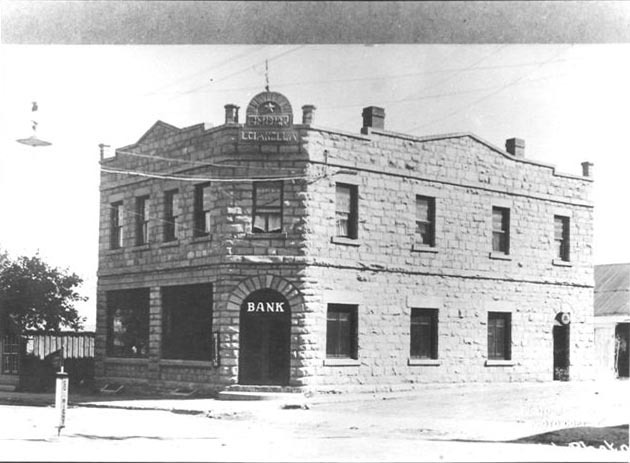 The Aguilar State Bank operated from 1912 to 1927 and was robbed twice in its history. During Prohibition, a large liquor vat made of concrete was built in the basement, where it remains today in silent testimony to free flowing bootlegged whiskey. As coal mining declined, so did the population and bustle of Aguilar. In 1927, the bank went bankrupt and was closed. In later years the building officed a doctor, dentist, and telephone company. The Gianella Building had an uncertain future when listed on the Most Endangered Places in 2004. The original nomination stated that the building was in danger of being disassembled for the stone, which a new owner had planned to use in building a new house. The owner at the time became interested in restoring the building, but its condition proved too decayed. The roof had been missing and the interior walls required stabilization. Colorado Preservation, Inc. helped Aguilar build a support network for the project that now boasts nearly 150 individuals and organizations. Colorado Preservation, Inc. has been working with the out-of-state owner and supporters to develop a future plan for the site. The building was listed on the State Register of Historic Places in 2005. In the meantime, with the owner’s permission and partial funding, the Apishapa Valley Historical Society was awarded a grant from the State Historical Fund for a Historic Structure Assessment, now completed. The assessment presents a preservation plan and a strategy to maintain and preserve the existing fabric of the building. If rehabilitated, there would be more than 6,000 square feet of usable space. One possibility is to stabilize the building as a protected ruin and use it as an open-aired community park. The Town of Aguilar has agreed to take ownership of the building if agreeable terms can be reached with the owner. The local historical society is currently completing a survey of historic resources along the main street in Aguilar. The building is currently listed for sale and the hope is to find a preservation minded buyer who will restore the building and find a new use.